We made this speed painting movie like some kind of tutorial, for our customers to understand better how our products are made off. This is why in this “How is made” category we will try to post one movie per week of some of our products from vector packs. We hope this helps our readers to get an actual insight into the art of design, as well as some tips on how to use basic as well as advanced computer techniques and programs to handle image, from simple rules and vector clip arts to more complex designs. Leave us a comment if you need more info and let us know how our tutorials have helped you. Tattoo Style Speed Painting from Tshirt Factory on Vimeo. I would love to see more videos they are very inspirational! Thanks for showing your process! Is this for brokenhearted? 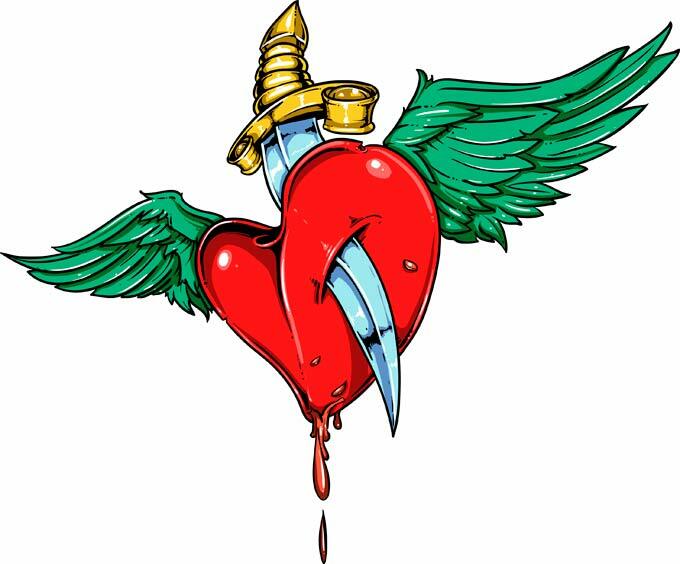 The heart is being stuck with a knife.